This month is (Use a file in a completely different way than it was intended). 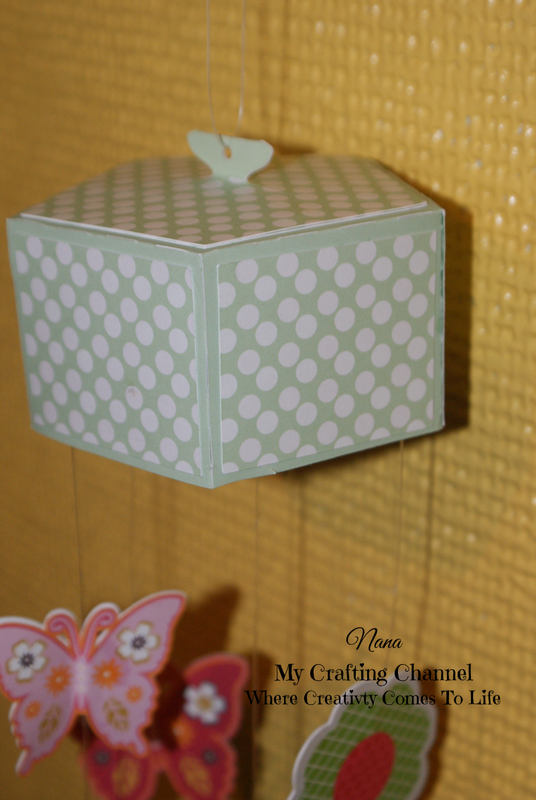 For this challenge I created a Paper Wind Chime. Yes, I said it's a paper one. It maybe silent but will be really cute hanging in my craft room. I have a ceiling fan running all the time so it should constantly be moving. The first fie I used in a way other than intended was the Box Pentagon. I used the lid for the top of my chime. I used fishing line to string the flowers and butterflies from the inside of the lid. The second file was the top part of the teapot. I mirrored it to the top and then overlapped it, merged and cut it out. I was then able to fold in half and use the bottom portion under a flap on the top of the box with just the little round part sticking out. Punch a hole in the middle to string the line through. I really like how it turned out. What say you? Ch# 24 "Use a file in a completely different way than it was intended"
This is Simply BEAUTIFUL! !Lovely flowers and pretty butterflies!! Great for a mother's day gift!! WOW!!! This turned out amazing Nana! 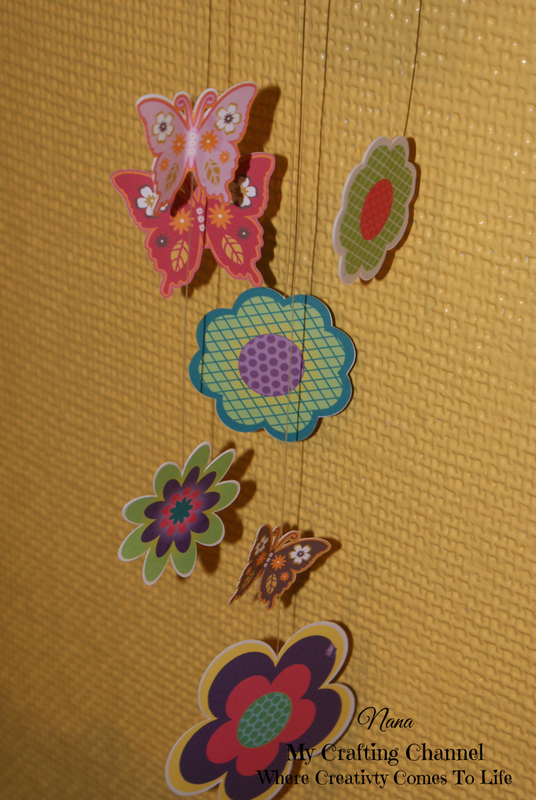 I love the pretty butterflies and flowers:) So super creative! LOVE it!!! This is so creative and cute! Love the flowers and butterflies. A great addition to your craft room! What a fabulous project!! Love the beautiful butterflies nand pretty flowers!!!! Have a great day, my friend. Oh wow this is amazing, I love all the different files you used and I can imagine how lovely it looks moving around in your room. Beautiful! What a great addirion to your craft room!